The format of the breakfast is going to be a little different than normal, we’ll explain everything when we get there and how the beer and food pairing will work. So now, I present to you the list of beers and the list of bacon infused goodness. 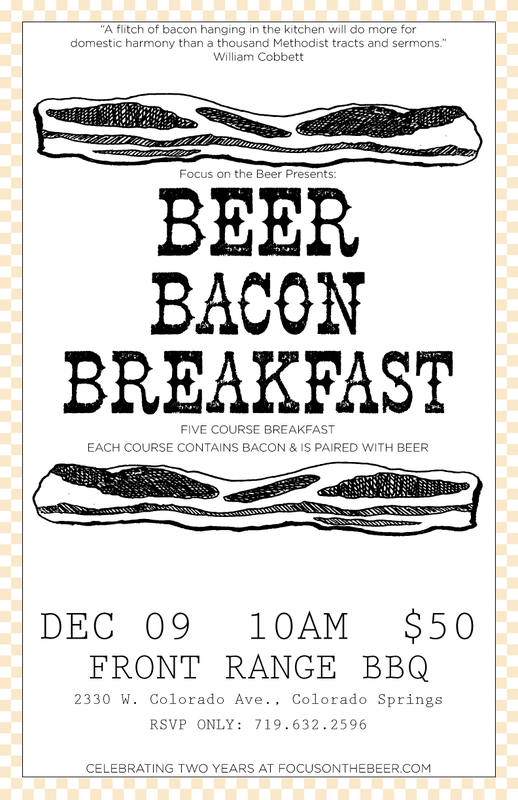 If you didn’t realize this yet, the Beer Bacon Breakfast (original post is here) is one part of the Focus on the Beer Anniversary Party Weekend. The first event is the Dec 08, the night before, and is a rare and limited beer tapping at Trinity Brewing curated by us bloggers. You’ll certainly want to go to both, they’re meant to go together. You don’t have to RSVP for the 8th but you DO for the breakfast. Two Events for the Focus on the Beer Anniversary Weekend!